Jonathan Morrison’s good year keeps getting better. 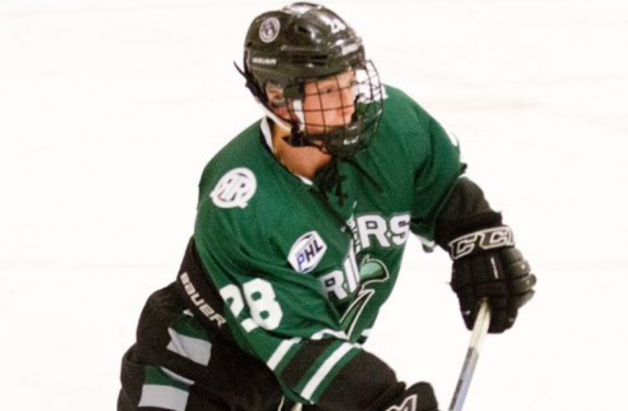 The Rocky Mountain RoughRiders’ 16U AAA defenseman jumped onto scouts’ radars this summer by playing well at the USA Hockey Select 16 Festival and then the 2000 birth year committed to the Air Force Academy (Atlantic Hockey) on Oct. 9. Morrison is from Eagle and began playing hockey for the Vail Mountaineers. He came down the hill to play AAA at age 11 and has been with the RoughRiders since his 14U season three years ago. At 5-foot-10, 160 pounds, Morrison is still growing, but one aspect of his game already stands out. “His skating ability, first and foremost, is his biggest strength,” Robinson said. “He’s really worked on his defensive game, and has the ability to jump up into the play to contribute on the offensive side. Morrison, who has lived with billet families in the Denver area since he was 13, also was quick to thank them. “Without them, this opportunity would not be possible,” said Morrison.